I think of dark liquors as spirits for cooler temperatures. That’s why I tend to avoid whiskey cocktails in the summertime. But then I thought of the buck, a nearly forgotten name for a class of cocktails that are made with ginger beer or ginger ale and citrus juice, served in a glass filled with ice. Sound familiar? Well, bucks are also called mules. As in a Moscow mule. This blueberry whiskey buck is refreshing and mildly sweet, while the ginger gives the signature buck. Cut two lemon slices and place them in a cocktail shaker. Set one aside for garnish. Add two teaspoons of of sugar to the shaker and muddle. Add 15 blueberries to the shaker and continue to muddle. Add 2 ounces whiskey and stir. Strain the concoction into a rocks glass filled with ice. Top it with 1-2 ounces of ginger beer. 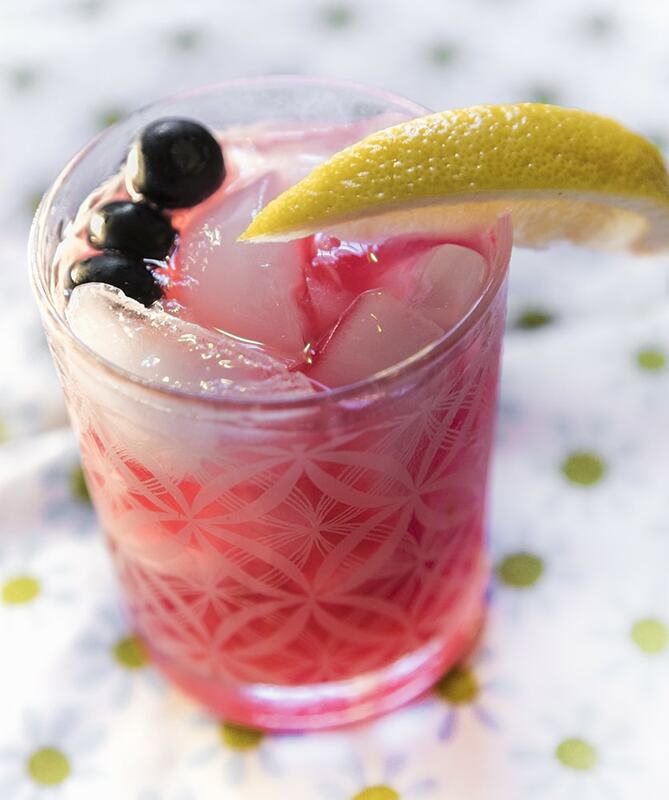 Garnish with blueberries and a lemon wedge.